When it comes to interiors, few people would be satisfied with little more than a bare expanse of carpeting, no matter how plush. 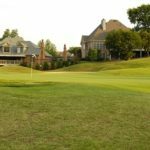 Yet all too often homeowners overlook the incredible living potential that lies just out their back door. 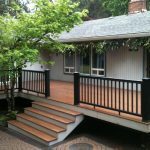 Whether you have an extensive lawn or a tiny backyard plot, a well-designed patio, terraced plantings, or inviting pergola can easily transform your yard into an appealing living space in its own right. In addition to effortless entertaining and extra room to relax, the following three easy additions can help you to gain a little extra privacy, define your outdoor space, and even make a small area seem bigger. While sunrooms and gazebos have been popular backyard structures for decades, they can be expensive to build and often have limited functionality. Pergolas, open-air frames that typically have latticework roofing, offer a simple design that can accommodate just about any purpose–and just about any budget. Traditionally the roofs and sides of these shade structures are mostly open. However, many modern designs incorporate solid or canvas-covered elements that can offer greater protection from sun, rain, and wind, allowing you to extend your outdoor entertaining season into the fall and winter. 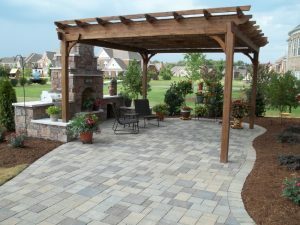 There are a number of factors you’ll want to keep in mind when choosing a location for your pergola. In addition to accommodating your desired size and shape, you will have to decide whether you would like a solid or partial-cover roof, and whether you prefer an attached or separate structure. Pergolas situated within the landscape of your yard will be visible from indoors as well, providing a visual element that draws the eye out into the landscape. When considering placement for a separate structure, consider where you see yourself spending the most time, where the best view would be, and whether there are any naturally sheltered areas. Attached pergolas can be a great choice for those looking to extend their indoor space onto an outdoor patio, or keep dinner parties nice and close to the kitchen. Keep in mind, however, that an attached structure may block outdoor light and darken interior spaces. On the other hand, windows with southern exposure may benefit from some extra shading. 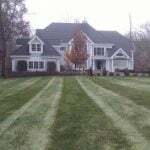 Need to find a pro for your backyard addition? 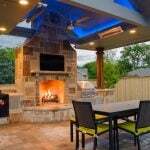 Covered or uncovered, simple or stately, concrete, metal, or stone, nothing jazzes up a backyard space quite as much as a little touch of fire. In addition to offering light, warmth, and ambiance, fire pits can make cooking fun and entertaining easy. There’s just something about a fire that draws people together and makes them feel a little more at home. Plus, fire pits can serve as a great focal point in your landscape design, even when they’re not in use. Installing a fire pit can be as simple as purchasing a portable unit or as elaborate as constructing an entire built-in living space that incorporates seating. You’ll find a wide range of materials available for built-in pits, including concrete, brick, stone, and tile. While you might instantly envision a circular area for your fire pit, keep in mind that you can just as easily design a triangular, square, or even an L-shaped space. In general, it’s a good idea to keep the pit somewhat centralized, with seating enveloping the fire. That way, everyone has a good view, and company can face each other while enjoying the warmth. Many portable fire pits and some built-in designs make use of propane fuel. They provide a lovely, even flame with little to no smoke, and can turn on with the flip of the switch, but they don’t give off very much heat. On the other hand, wood fires give off plenty of heat, but they can take some time to get started, require more strenuous cleaning to maintain, and can produce excess smoke. In the end, you’ll want to consider whether you are primarily looking to create ambiance, or would prefer a fire that can put out some heat. Sunken patios have recently gained some serious cache in backyard landscape design. In a small yard, a sunken area provides depth and visual interest, actually making the overall space seem larger than it is. In expansive yards, a sunken patio can help to better delineate an outdoor architectural scheme, creating a slightly “separate” space for dining, conversation, or relaxation. Recessed patios can add dimension to a flat yard, but they also incorporate easily into sloping and irregular landscapes. Inset patios may be circular or semicircular, square, or even just blend naturally with the existing terrain. 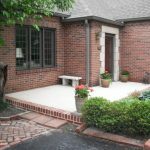 Sinking your patio space using broad, paved steps is an easy way to add plenty of built-in seating for guests, and a graduated border can provide room for terraced plantings for extra privacy. In places where fencing would be obtrusive, a below-grade patio offers a little isolation without the eyesore, allowing you to take in the scenery while enjoying some seclusion. Before settling on a location for your sunken patio, you should consider drainage issues, as well as underground utility lines. 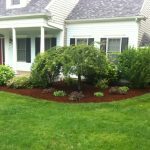 Choose a spot where water runoff will not be problematic during rainy weather, and make sure to have adequate drainage installed. You should also make sure to contact your local utilities before digging anywhere in your yard. Many utility companies will perform a free inspection in order to locate any lines within the proposed site. Privacy issues, lack of entertaining space, and the elements themselves often prevent families from fully enjoying their backyard areas. However, with a simple design, solid construction, and just the right materials, you can transform even the most cramped quarters into a miniature oasis. 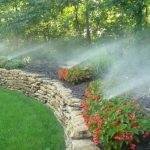 Many of these installations can be taken on as great DIY projects, but if you have the resources, you may want to consider hiring a local contractor. In addition to thorough knowledge of available materials and construction experience, a good design team can help you to maximize your project’s payoff, and provide a truly remarkable living space that can last for years to come. 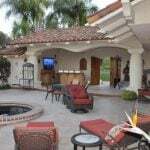 Thank you for sharing these ideas on how to remodel your backyard. My husband and I are making some changes to our home and we would really like to redo our backyard. It would be nice to have a bigger open grass area for the kids to play. I would still like their to be planters, and flowers as well. 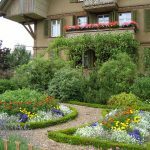 like you said, “a well-designed patio and terraced plantings can transform your yard into an appealing living space.” I would really like my backyard to be inviting! Thanks again. Thanks for the kind words Camille. Glad you liked it! When you’re ready to start investigating costs, check out our comprehensive cost guide as well! I’ve used it for numerous projects myself and found it helpful.